Small businesses could use every advantage they can get when it comes to attracting new customers. Often enough, the biggest boost to their customer base is made by well designed and implemented online assets and activities. Social network presence, email lists, and search engine advertising can all be used to attract new customers with great success. The way these systems are usually set up is to funnel potential customers to a central location — a business website. The homepage is often the very first page your website visitors will see. Because people are creatures who give a lot of importance to first impressions, the homepage has to be flawless. However, it’s easy to sometimes disregard the rules of good homepage design. That’s why you should always have a checklist of things that are easy to forget, but should always be included on your homepage. It’s important that your branding is consistent across all of your digital assets. Your Facebook page, the emails you send, and your homepage all need to conform to the same visual standards. They need to use the same color scheme, they need to display the same logo and tagline, and use the same lettering. When your branding is consistent on all of the channels you use, you achieve two important effects. One, you make the experience of switching channels appear more seamless. Two, you make your branding, and your business, more recognizable. You should never miss an opportunity to include a strong call to action in your assets, homepage included. Granted, your visitors might not be willing to commit to buying your products right after landing on your website. They might need more convincing, and that’s perfectly fine. They might be more open to getting additional information for you. The homepage is the ideal place for a call to action that qualifies visitors as prospects. Grooming your visitors into customers is a gradual process. The call to action you include on your homepage should help them make the first step. Maybe it should call the visitors to subscribe to your newsletter. Your homepage is not the same as the blog section on your website. It doesn’t serve the same purpose, and it doesn’t feature the same type of content. But it still needs to have some kind of content. Otherwise, your website’s visitors won’t know where they are, and what they can find there. The best thing you can do when considering the content you should include on your homepage is to put yourself in the visitors’ shoes. What would they like to know from the very start? They want to know where they are. They want to know whether your website has what they need. They want to know how they can get what you have to offer. Also, they might be interested in getting in touch and asking you a couple of questions. You have your work cut out for you. We’re moving fast into an age of mobile-first web design. In the past, websites were designed to be displayed on desktop computers with big screens. Now, web designers are making websites with the goal of being displayed properly on smartphones and other mobile devices. The size of the screen has a huge influence on web design. In turn, the design has a huge influence on user experience. Designing website with mobile users in mind is a must. You have to take into account that people will try to view and navigate your website on a 5-inch screen. If you don’t, your visitors will migrate from your website onto the competitors’, as long as they have a mobile-friendly design. And they will. Another way to ensure that your homepage doesn’t needlessly lose you visitors is to optimize its loading speed. The more large elements you have on the homepage, the longer it will take to load. And people won’t be inclined to wait if the loading times are too long. So ditch the heavy images and scripting, and build a lean homepage. 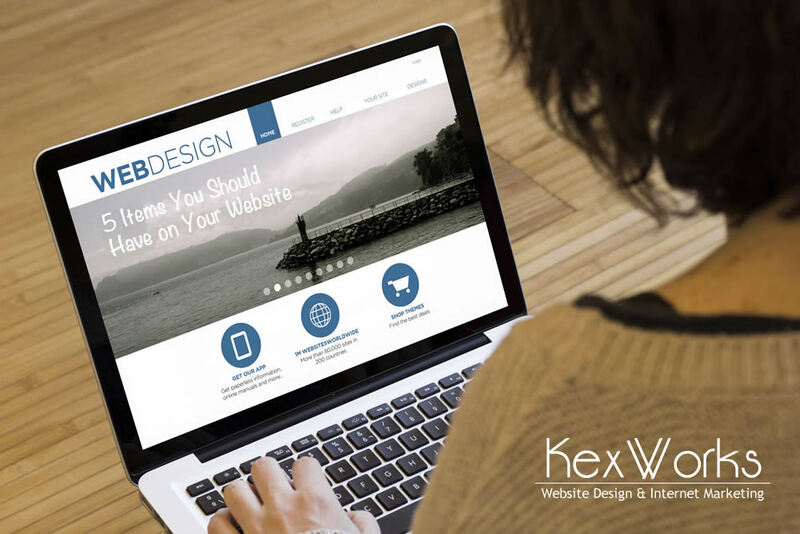 Your homepage is the face of your website. The visitors will look at it and form an opinion based on it. They will use the information they get from your homepage to decide whether they want to engage with your website or not. Make sure that it’s presentable, and that it accurately represents your business.